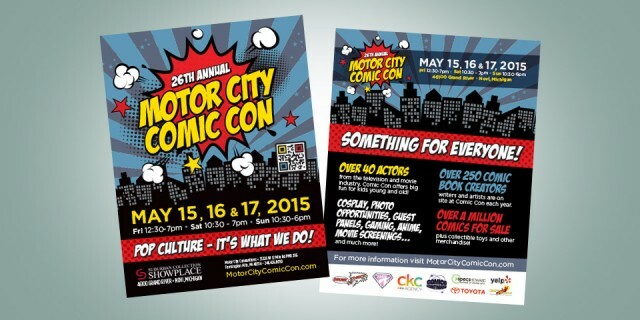 For over 25 years The Motor City Comic Con has been entertaining fans of all ages. Recently the MCC they came to Boom Creative looking for a fresh perspective on how to brand the event. This piece is just the first of may more pieces to come as Boom Creative looks to build a long term relationship with the MCC. Boom Creative is proud to be celebrating out 10th year in business! Let’s make the next 10 as great as the first.